Labyrinth Around America is a venture to take a portable, canvas labyrinth around the states that form the border of the continental USA. The labyrinth is a space for walking meditation, reflection, and connecting with the inner self. It appears throughout history and in many cultures, and has become popular during recent years for bringing communities together (labyrinths can be found in churches, schools, public squares, hospices, and many other places). The ability of the labyrinth to 'center' people, provide a space for reconciliation in places where there is division, uncertainty or confusion, and encourage peace and harmony are well known. The journey of the labyrinth used for this project aims to reach people from as many diverse backgrounds as possible, while visiting neighbourhoods where a labyrinth may never have been encountered before. By becoming introduced to the labyrinth, and being offered suggestions about following up with this practice (provided by the website), my hope is that many people will discover a new way of finding solace within themselves, feel better connected to their communities, and in some cases may feel able to move forward from what may be challenging current circumstances. 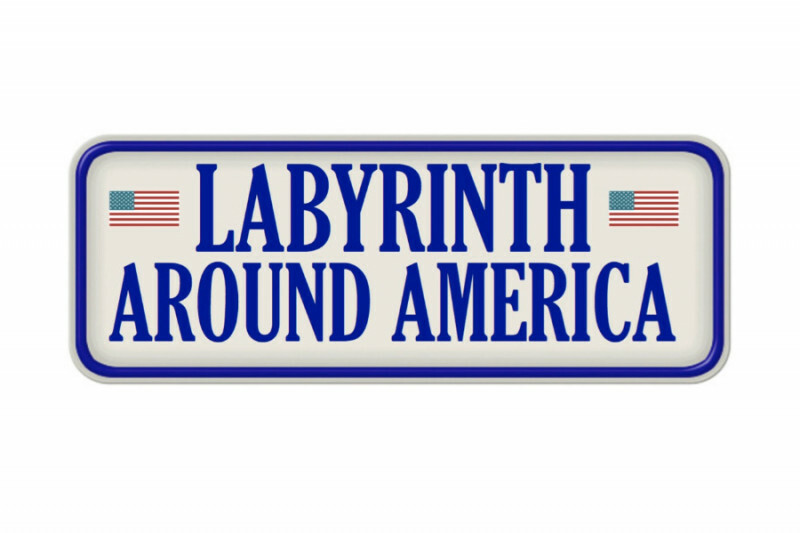 The circular tour of the labyrinth, ultimately embracing the whole of the continental USA, aims to spread a positive energy around the country, and containing the country within its path. This seems all the more important at a time when many people feel unsure about their futures. I (Clive Johnson) launched this project on the strength of a feeling that it is right and timely for me to do so. My hope is that other labyrinth enthusiasts will become involved in the project as it makes its journey, and that the labyrinth itself will become public property – able to continue its journey to communities after the circular tour is complete. For this longer-term purpose, and for the purpose of supporting some of the costs specifically realting to the labyrinth's purpose itself, I am requesting funding. ~ (Longer-term), costs for storing and transporting the labyrinth, once it has completed its journey. Funds will not be used for funding my (Clive's) own costs, such as for travel and accommodation. In the event that more funds are received than are needed for the project and its forseeable ongoing purpose, I propose that the balance should be given to The Labyrinth Society, whose special projects committee can direct which other suitable labyrinth-related projects might best benefit from funding. Thank you for your support, and please keep up to date with the project's progress via the website, www.labyrintharoundamerica.net, and Facebook page, https://www.facebook.com/labyrintharoundamerica/. Blessings, and a HUGE THANK YOU to everyone who has contributed so far to the Labyrinth's cause! We've now surpassed half of the target, and I'm very encouraged by the many donations that have been offered. Many are shown here as 'anonymous', having been made as cash offerings. Thank you again! Labyrinth Around America will be back on the road between 1st November and 15th December. I'll be posting regular updates via my blog and on Facebook. I was honored to meet and talk with Clive in Phoenix. My first time walking a Baltic labyrinth and first time walking a labyrinth on canvas. Thoroughly enjoyed the experience and wish Clive all the best on his pilgrimage.